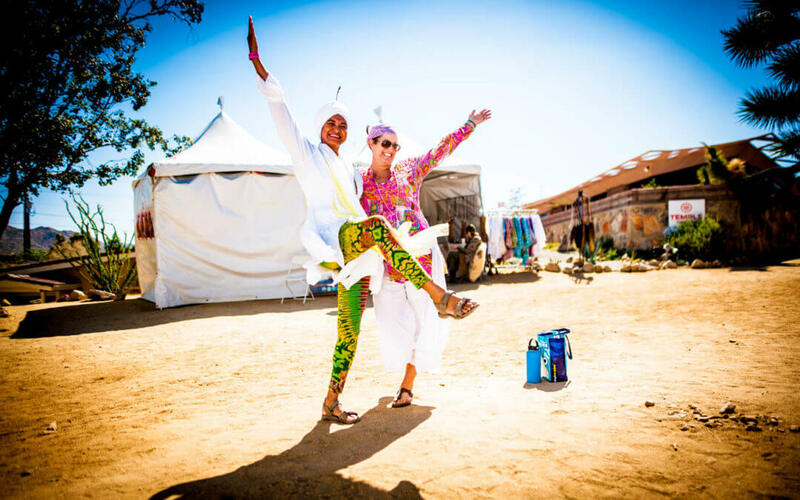 We just wrapped up Sat Nam Fest Joshua Tree 2017 a few week ago, and our hearts are singing from the heart-opening connections made with our soul family from all over the world as we gathered together in the spirit of Oneness. It was so beautiful to participate in the growth and transformation of every Sat Nam Fest participant during our time together. But when we stay in the open space of the heart, when we allow ourselves to be vulnerable and loving no matter the consequences, miracles happen. We allow the Universal flow of love, abundance and synchronicity to dwell in every interaction and create space for unimaginable transformation. So when you find that your communication is coming from the mind, take a moment – breathe – drop into your heart and live fearlessly from a place of love, devotion, and gratitude for all that is. As we move into this space, we can transform the world with our love. Thank you for being with us and for sharing your hearts with us. We are full of love and gratitude – and we can’t wait to gather together and do it all again at Sat Nam Fest Berkshires!